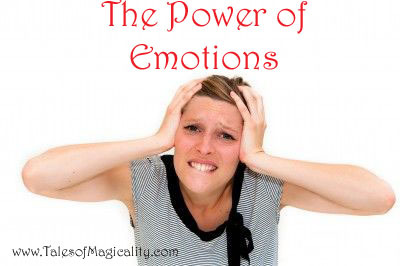 Emotions are truly a powerful force, especially when dealing with the law of attraction. Emotion is the energy that feeds the universe with instructions on what your desires are. Emotions feed your magnet to attract to you whatever you are thinking at a much quicker rate. If you just have a thought alone without emotion attached, it will feel like it took longer to come to you. When you attach feelings and emotion to your thought, your magnet will grow. When a magnet is bigger, it attracts anything to it much quicker. Pay attention to what emotions you are attaching to your thoughts.